Discussion in 'Player Created Resources' started by Rinaldi, Sep 5, 2016. On the Devotionals of Love and Courage, there’s a bell (Courage) and a candle (Love). 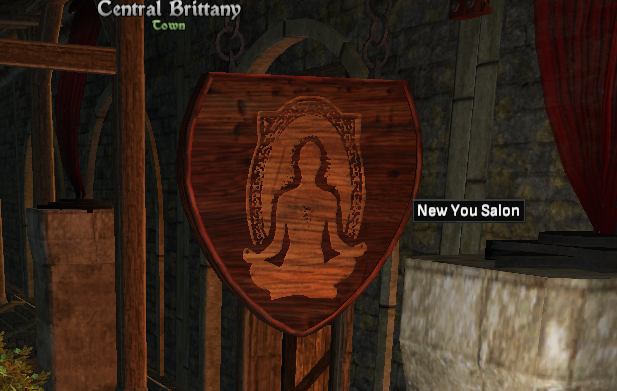 This is a reference to the Bell of Courage and the Candle of Love from Ultimas 4 and 9 (according to @Rinaldi ). Various zones in SOTA were inspired by real life places. For example, the landscape of Elad's Lighthouse was inspired by locations in Ireland. However, in Elysium mines, the references to the real world are much more explicit and overt, so I thought I would highlight them here. The appearance of many things in Elysium mines are exact duplicates of things in the ancient City of Knossos in Crete. The City of Knossos had characteristic buildings with red columns, frescoes on the walls inside the buildings, and many pottery jars (all of which can be seen in Elysium mines). In Greek mythology, the labyrinth that held the Minotaur was in Knossos. The lower level of Elysium mines is essentially a labyrinth, and it is inhabited by Satyrs (Satyrs and Minotaurs are both humanoids with animal features). 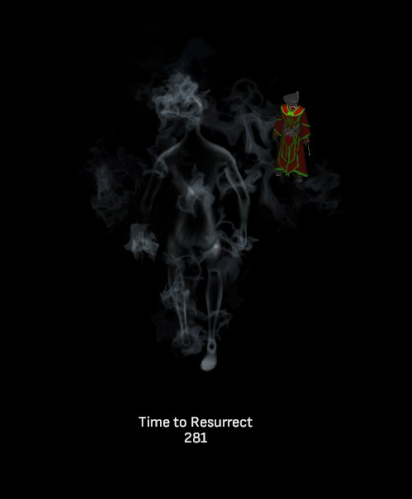 From Avatar's Update # 256: "The mines are also home to...spirits and undead...trapped...in the labyrinth. The visual inspiration for this mine comes from the Minoan City of Knossos in Crete, where the original Labyrinth from Greek mythology was said to have been. The glowing river is partially inspired by the river Styx, and is closely associated with the spirits wandering the labyrinth." Here is a nice video comparing the real Knossos in Crete with Elysium mines, including pics of the real-world and SOTA frescoes. Very nicely done - they really do look the same! Jaesun and Rentier like this. 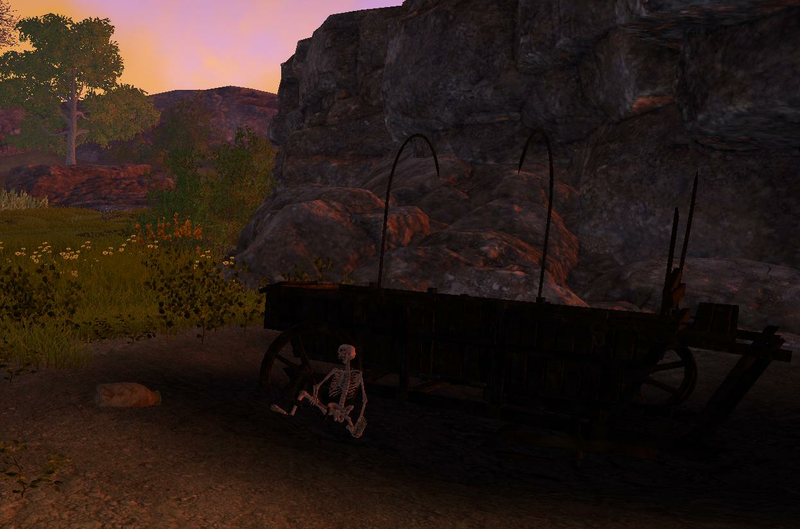 On the main road in this scene, you find a skeleton whose ankle is shackled to a charred wagon. 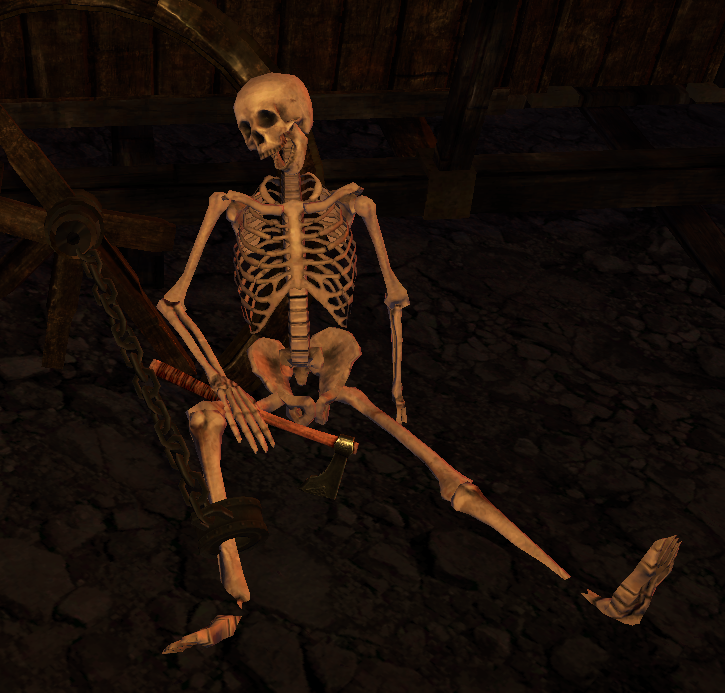 The skeleton has an ax in his hand. This scene in SOTA corresponds to the scene in Mad Max shown above. 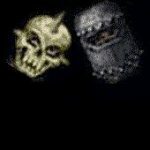 The skeleton represents Johnny's dead body, the ax represents the hacksaw, and the charred wagon represents the car burned in the explosion. This location does not show up as a point of interest. When I encountered this scene in SOTA, it seemed peculiar to me, so I asked @Vas Corp Por (Travis Koleski, a developer) about it and he confirmed the Easter Egg. He also said there were no other Easter Eggs in South Broken Road. Moiseyev Trueden, Jaesun and Alley Oop like this. Fionwyn Wyldemane, Jaesun and Mishikal like this. the princess bride: rickard in owl's head's fire lotus tavern and his appreciation for mutton. i noticed it seperately, but it looks like @Cordelayne gets first mention. Rickard: Happiness on a plate. I do so look forward to mutton day. Mutton stew, mutton roast, mutton kabobs. Don't forget a nice MLT, mutton, lettuce and tomato sandwich, where the mutton is nice and lean and the tomato is ripe. That is why if you have half a brain, you'll head to the Fire Lotus Tavern and get some yourself. 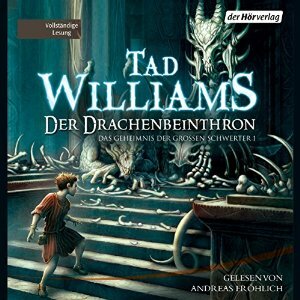 Moiseyev Trueden, Fionwyn Wyldemane, Datendrache and 3 others like this. Wow this is a pretty extensive compendium. Going to have to hide more! Moiseyev Trueden, Gabriel Nightshadow, Fionwyn Wyldemane and 7 others like this. In Greek mythology, the labyrinth that held the Minotaur was in Knossos. The lower level of Elysium mines is essentially a labyrinth. IIRC, this was discussed in a livestream prior to R56, as well. May be worthwhile to hunt it down as another media link. 1. 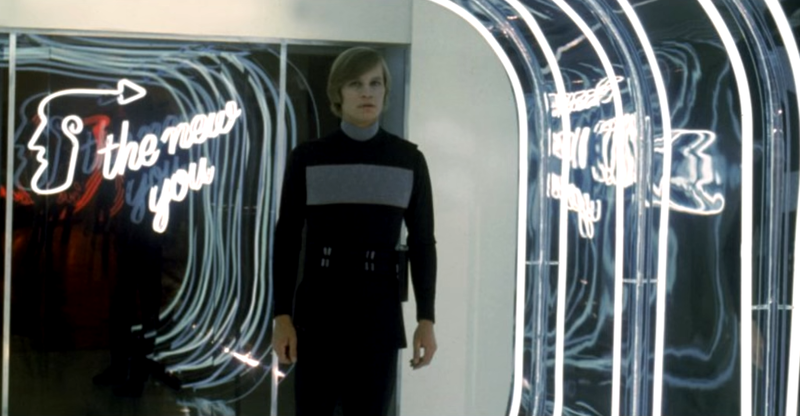 Movie: Logan's Run - The New You shop. Where people could get a new look. You can find a New You shop in Ardoris and in Brittany...can't recall which sector. Thank you @Rinaldi for the pics! ---> In SOTA, blue glowing energy over mini-stonehenge type circles are used as portals. Moiseyev Trueden, Rinaldi, Gabriel Nightshadow and 1 other person like this. Fionwyn Wyldemane and Rinaldi like this. "Beatrice Angelica: Lelanna McPherson was my understudy for several Anthony Boyd Weber productions. As the years passed, her jealousy of me grew to unimaginable proportions. There are those who believe it was she who overwaxed the stage which caused my failed quintuple cartwheel during the musical "Rats." Alley Oop, Moiseyev Trueden, Jaesun and 3 others like this. 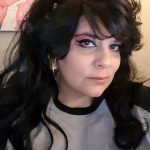 This was first reported by @Barugon in this post, but his picture links expired, so I re-posted it here. 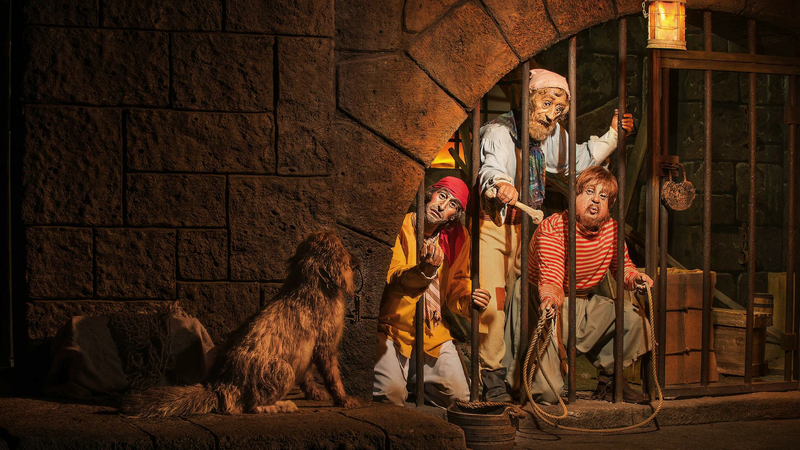 At the first Disneyland park in Anaheim California, there has been a ride called "Pirates of the Caribbean" since 1969. The ride was later duplicated at other Disney theme parks. 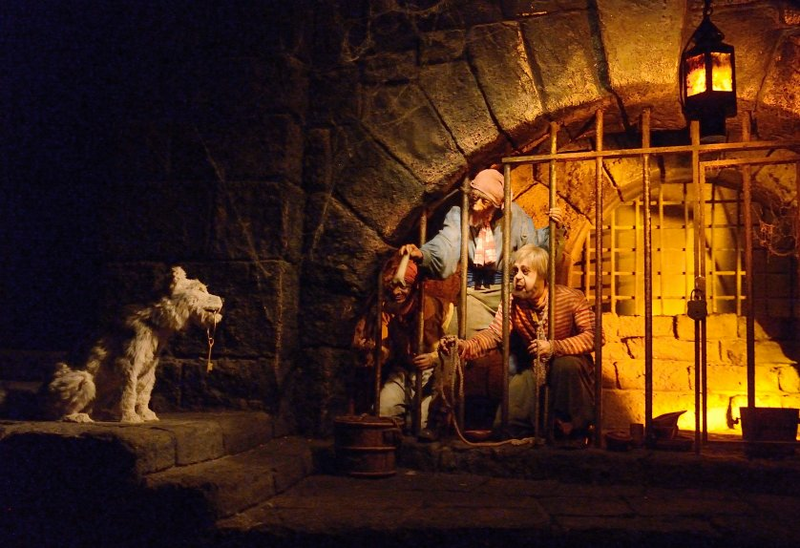 In one area of the original ride, prisoners try to persuade a dog to bring them the keys to the cell. One prisoner holds a loop of rope and one prisoner tries to feed the dog a bone. The dog just sits in place and does not bring them the keys. The ride inspired a series of "Pirates of the Caribbean" movies. In one of the movies (The Curse of the Black Pearl), there is direct reference to the scene that is shown above, where a pirate uses a bone to coax the dog into bringing him the keys to the cell. 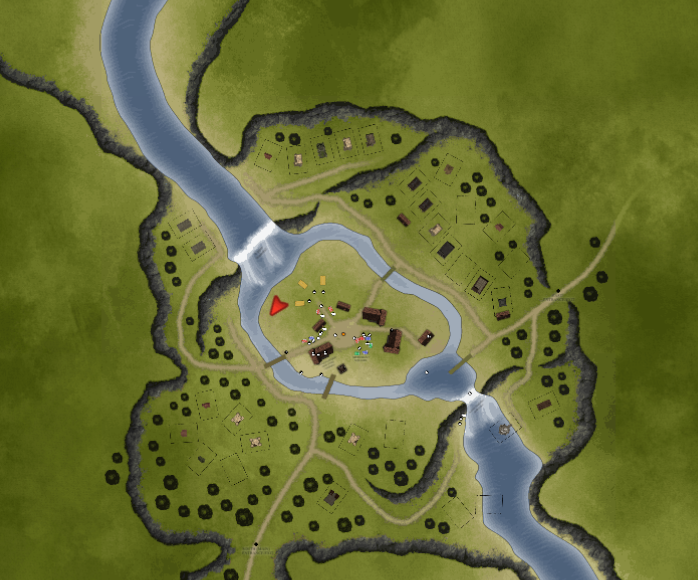 Avatar Update #274 states that Tenebris Harbor "...has recently been attacked and taken over by pirates and plunderers who have burned down whole sections of the town." So, this location is a perfect place for a pirate Easter egg. 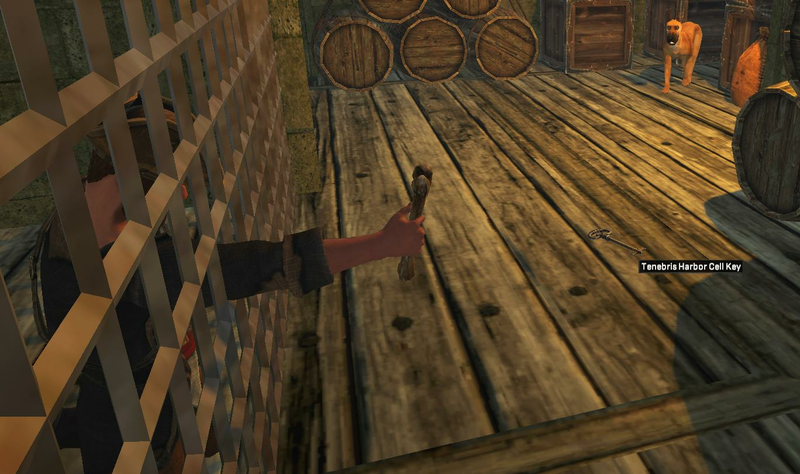 In the basement of a building, you will see a pirate in a cell, who is holding a bone and trying to coax the dog to bring him the cell key. 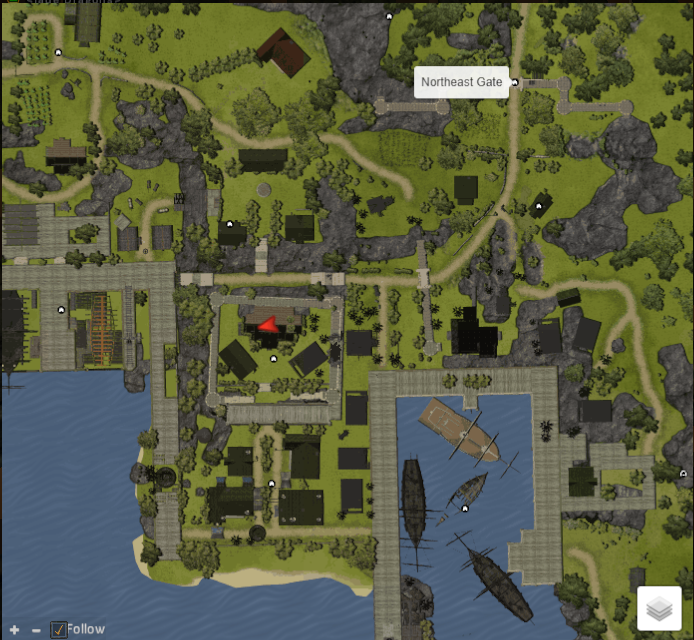 In Tenebris Harbor, go into the basement of the building at location -2.0, 27.1, -19.2 (see the red arrow below). Jaesun, Fionwyn Wyldemane and Paladin Michael like this. See this post describing in-game tributes to Helen Garriott (Richard'sMother). His daughter (Kinga) is the library walking among the book cases and periodically reading books (the library is several floors up within Brittany Castle). 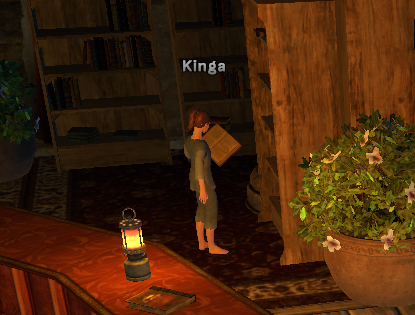 In real life, Kinga likes to read. Garriott's son (Ronin) is running around the first and second floor of Brittany Castle, and occasionally runs outside and into the hedge maze next to the castle. 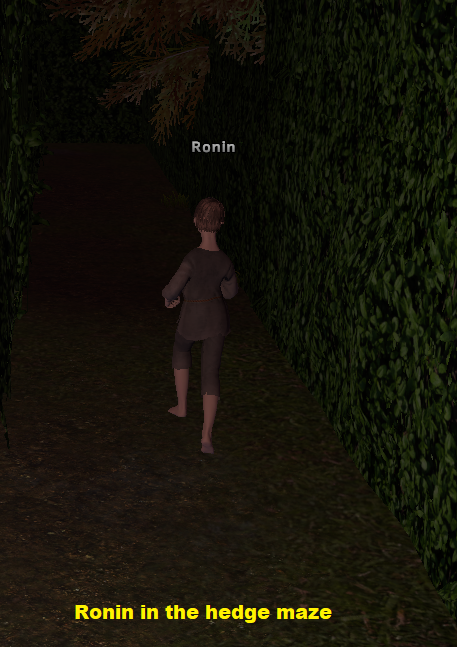 In real life, Ronin likes to run around (he actually got lost in Disneyworld and was found near the hedge maze). Listen to Richard speak about his children in-game in this part of the release 60 livestream. Rentier, Jaesun, Mishikal and 2 others like this. 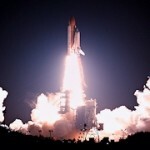 Did you already get his mom, Helen Garriott, in the Brittany graveyard? Mishikal and Alley Oop like this. 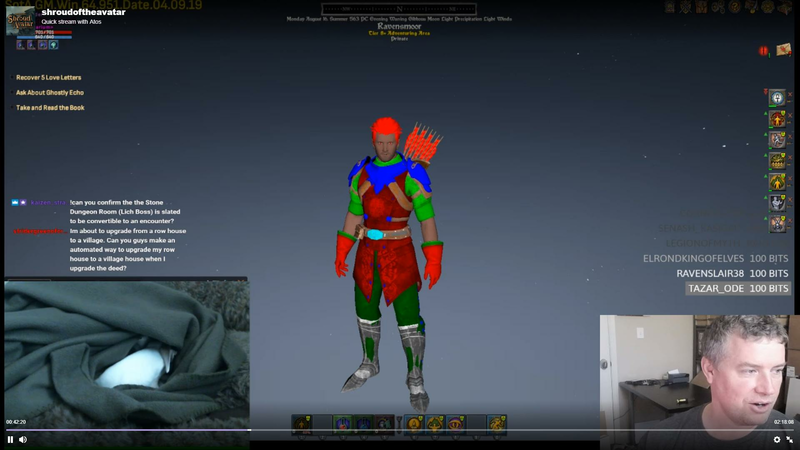 See this post about in-game tributes to Richard's mother. P.S. I added the link to my post above. 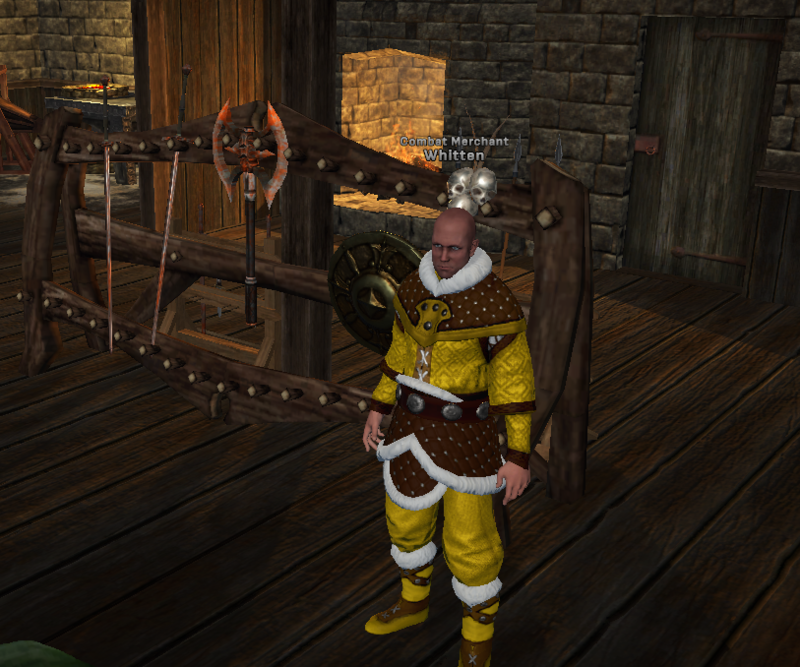 Rentier, By Tor, Fionwyn Wyldemane and 1 other person like this. This one was found by @Merrik (same name in-game). Severus Snape is a fictional character in J. K. Rowling's Harry Potter series. He was a skillful wizard with a passion for the Dark Arts who specialized in potion making. 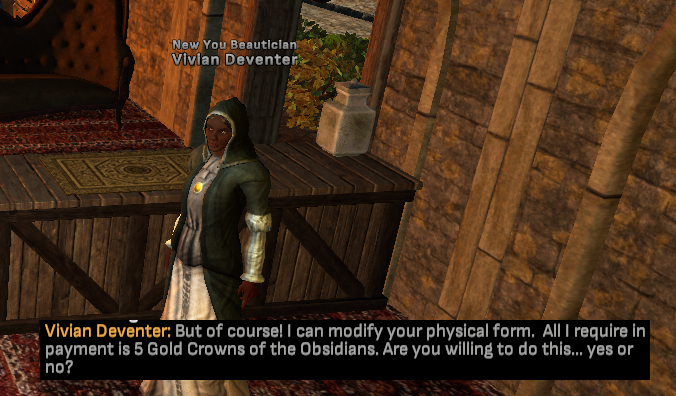 In resolute, Whitten will tell you about Severus if you ask him about "rumors". Whitten is the Combat Merchant inside the combat training shop, and is at location: -29.09, 77.583, -258.342.
interface (5th check box from the bottom of the list). Rentier, Fionwyn Wyldemane, Jaesun and 1 other person like this. Spoiler: "D-ck in the Box" song in real-life - Warning Adult content! The song "D-ck in a Box" was a comedy song that debuted on Saturday Night Live in 2006. It was presented as a music video that portrays two men singing about giving a Christmas gift to a girlfriend. Each singer has a gift-wrapped box attached to the front of his waist. Portalarium needed a place to store your character model, so they placed the model under the map. They called this character model "Richard in a Box" - a reference to the "D-ck in a Box" Saturday Night Live skit. The "Richard in a Box" is only be visible if you fall through the bottom of the map. Most of the time, when you fall through the map, you fall far away from "Richard in a Box", so you cannot see it. Or, you may fall so fast that "Richard in the Box" is hard to discern even if you are relatively close. Also, "Richard in a Box" is only drawn when you get low enough under the map. So, it may be difficult to see. The character sheet needed to be stored somewhere, so they put it below the world. 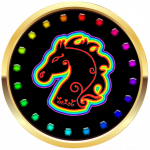 The colors on "Richard in a Box" are the 3 primary color channels (red, blue, green) which are the base colors to construct the final appearance of your avatar. Because "Richard in a Box" contains data from your avatar, the body, clothes, and armor will be those of your current avatar. Rentier, Jaesun, Fister Magee and 1 other person like this. In Jaanaford, there is a building called the Reliquarium where important books and artifacts are displayed. In Jaanaford, at location (-89.808, 35.215, 16.566) - see red arrow below. Note: these artifacts cannot be taken nor put in your inventory. In the book series The Wheel of Time, there was a powerful crystalline, curved sword called Callandor. In the series, it was sometimes called the "Sword That Cannot Be Touched" or the "Sword That Is Not a Sword." In SOTA, there is a green crystalline, curved sword on the wall of the reliquarium. If you hover your mouse over the sword, the label states "Not a Sword. Absolutely no touching!!!" 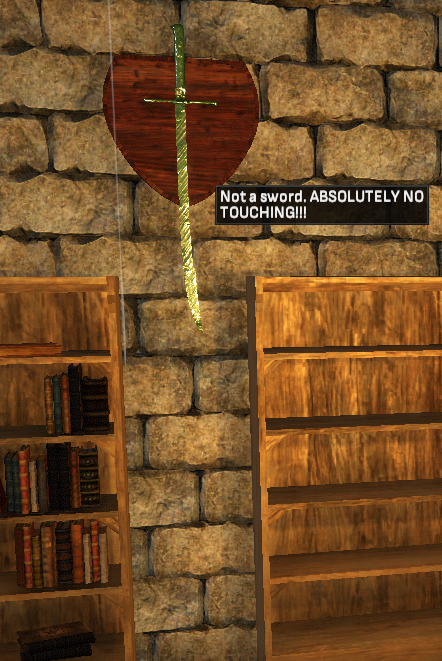 - a clear reference to the "Sword That Cannot Be Touched" and the "Sword That Is Not a Sword" from the book series. 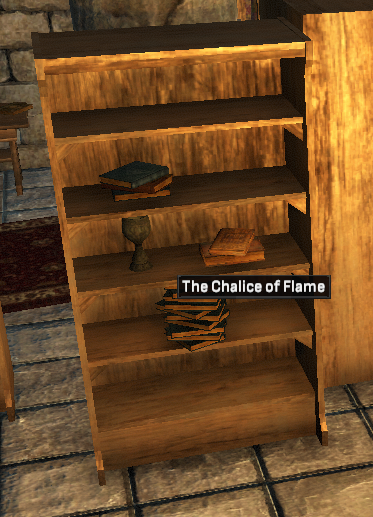 In SOTA, there is a cup in a bookcase called "The Chalice of Flame", which appears to be a reference to the "Goblet of Fire". This is likely a reference to either Daniel Arenson's book Eye of the Wizard or Alastor Moody's magical eye from the Harry Potter series of books. 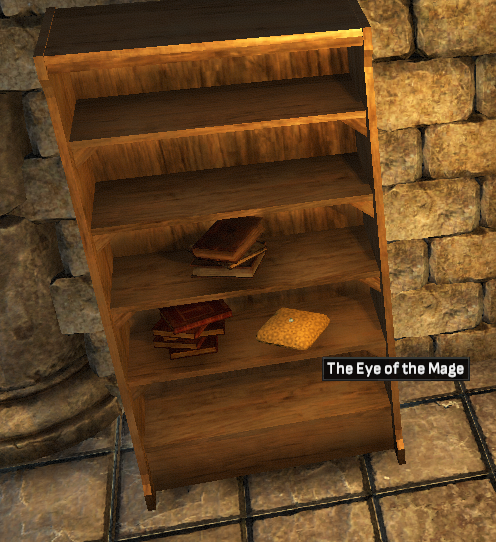 In SOTA, a small eye sits on a pillow in the bookcase. It is labeled "The Eye of the Mage". 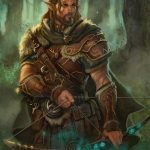 In in J. R. R. Tolkien's book The Hobbit, there is a character named Bard the Bowman. In the movie The Hobbit: The Desolation of Smaug, he was referred to as Bard the Bargeman. 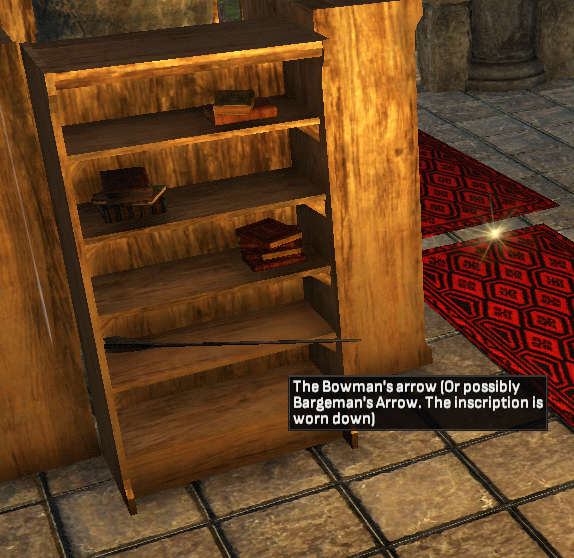 In a bookcase, there is an arrow that belonged to "Bowman" or "Bargemen" (the inscription is too worn to discern). 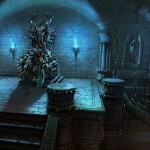 The Kingkiller Chronicle is a series of fantasy books by Patrick Rothfuss. One of the nicknames of Kvothe (the main character) is KingKiller. During a test to see if he is worthy, Kvothe slices the palm of his hand. 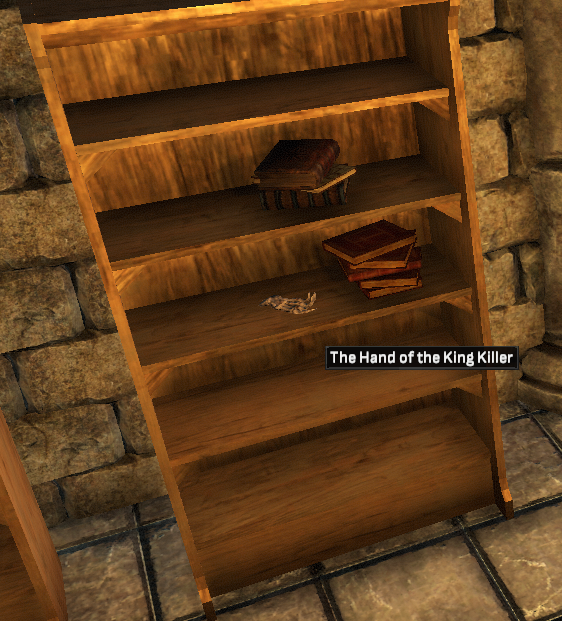 In SOTA, there is a skeleton's hand labelled "The Hand of the King Killer". In the fantasy book series The Sword of Truth, there is a character called Zeddicus Zu'l Zorander (commonly known as "Zedd"). Ultimately, Zedd was beheaded. 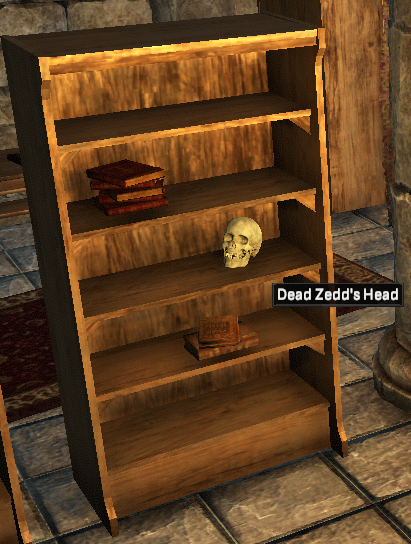 In SOTA, there is a skull in the bookcase that is labelled "Zedd's Dead Head". 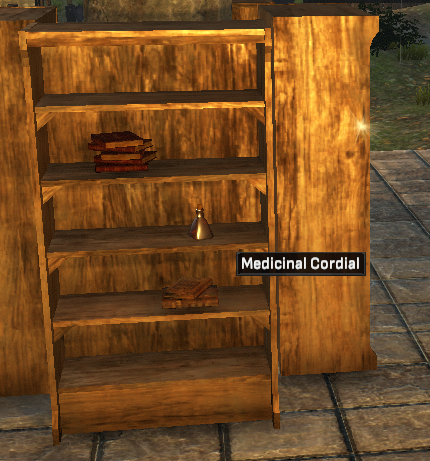 On a bookshelf in SOTA, there is a small flask labelled "Medicinal Cordial". Jaesun and Spoon like this.